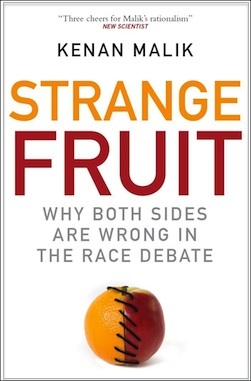 This is the Foreword to my book Strange Fruit: Why Both Sides are Wrong in the Race Debate. Reviews of the book are here. And you can buy it from the Pandaemonium bookshop in Britain or the USA. So claimed the Nobel Laureate, James Watson, in an interview in Britain’s Sunday Times in October 2007. Watson is one of the most eminent living scientists. In 1953, he and Francis Crick unravelled the extraordinary double helix structure of DNA, perhaps the single most important scientific breakthrough of the twentieth century. For forty years he was director of the Cold Spring Harbor Laboratory on Long Island, New York, one of the most prestigious biological research institutions in the world. He was also director of America’s Human Genome Project, until he resigned over plans to patent genes, to which he was passionately opposed. In America, too, the criticism was almost total. The Federation of American Scientists condemned Watson for choosing ‘to use his unique stature to promote personal prejudices that are racist, vicious and unsupported by science.’ Francis Collins, director of the National Human Genome Research Institute, described Watson’s comments as ‘racist’ and as both ‘profoundly offensive and utterly unsupported by scientific evidence.’ Cold Spring Harbor Laboratory not only ‘vehemently’ disowned Watson’s remarks but suspended his chancellorship of the institution, forcing him eventually to resign. The row over Watson’s comments shows all that is wrong with the current debate about race. On the one hand, Watson got his facts in a double helix. On the other, the arguments of Watson’s critics were equally in a twist. There are certainly real genetic differences between human populations and the scientific study of these differences can help unravel the roots of disease, develop new medicines, unpick the details of deep human history; perhaps eventually even tell us something about the nature of intelligence. Such genetic differences are, however, not the same as racial differences. Race provides a means, not just of categorising humanity, but also of imputing meaning to those categories and of selecting certain categories, based on skin colour, appearance, or descent, as being of particular importance. Racial thinking divides human beings into a small set of discrete groups, sees each group as possessing a fixed set of traits and abilities and regards the differences between these groups as the defining feature of humanity. All these beliefs run counter to scientific views of population differences. Of course, there was more than a little lack of rigour to Watson’s comments. Yet the issue of race, and of the relationship between race and intelligence, remains the subject of legitimate scientific debate. Almost on the same day as Avoid Boring People hit the bookshops, so did Craig Venter’s autobiography, A Life Decoded. Venter is a geneticist, almost as distinguished as Watson. He was one of the driving forces behind the Human Genome Project and the founder of Celera, the private sector biotechnology company without which the unravelling of human genome would have taken considerably longer. His view on race is the opposite of Watson’s. ‘The concept of race’, he writes, ‘has no genetic or scientific basis’. Nor, he suggests, is there any ‘basis in scientific fact or in the human gene code for the notion that skin colour will be predictive of intelligence’. There is, as we shall see in Chapter 2, a growing questioning of the idea that race has no genetic basis and a burgeoning use of racial categories in scientific and medical research. Nevertheless, Venter’s argument broadly accords with the current scientific consensus. It certainly accords with current moral and political sensibilities. Nevertheless, it is as legitimate for Watson to express his opinion as it is for Venter to express his, even if Watson’s appears to be factually wrong, morally suspect and politically offensive. As in many controversies about the human condition, the debate about race is less about the facts of human differences than about the meaning of these facts. It is only through open debate that we are able to decide which interpretation of the facts is the most meaningful. A scientific debate that is policed to ensure that opinions do not wander beyond acceptable moral and political boundaries is no debate at all and itself loses any meaning. For many, though, science is political. In recent years, there has grown a greater scepticism about the idea that science provides an objective view of the world, a view that is universal and valid across all societies and cultures. Belief in the objectivity of the scientific method and the universality of scientific knowledge developed through the Scientific Revolution of the seventeenth century and the Enlightenment of the eighteenth. It is a belief that traditionally has been associated with progressive thought – but no longer. Where radicals once championed scientific rationalism and Enlightenment universalism, now they are more likely to decry both as part of a ‘Eurocentric’ project. ‘All knowledge systems’, the philosopher Sandra Harding has written, ‘including those of modern science are local ones.’ Western science has taken over the world ‘not because of the greater purported rationality of Westerners or the purported commitment of their sciences to the pursuit of disinterested truth’ but ‘primarily because of the military, economic and political power of European cultures.’ Science, Harding concludes, ‘is politics by other means.’ And if that is the case, then science clearly must be policed for its moral and political rightness. That is why Watson was sandbagged as much by moral outrage as by rational argument. The irony is that, for all the vitriol directed at Watson, racial talk today is as likely to come out of the mouths of liberal anti-racists as of reactionary racial scientists. The affirmation of difference, which once was at the heart of racial science, has become a key plank of the anti-racist outlook. We’re All Multiculturalists Now observes the American sociologist Nathan Glazer, in the title of a book. Indeed we are. 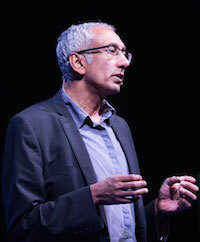 The celebration of difference, respect for pluralism, avowal of identity politics – these have come to be regarded as the hallmarks of a progressive, anti-racist outlook and as the foundation of a modern liberal democracy. The paradoxical result, as we shall see, has been to transform racial thinking into a liberal dogma. Out of the withered seeds of racial science have flowered the politics of identity. Strange fruit, indeed. This book challenges both sides of the race debate. There are three broad parts to my argument. The first two chapters explore the meaning of race as a scientific category. Race, I argue, is a social, not a scientific category, but it is precisely because it is a social category that it may be useful in scientific and medical research. Chapters 3 to 7 examine the rise and fall historically of the idea of race and explain its sublimation into the idea of culture. Chapters 8 to 10 look at the contemporary clash between claims of scientific rationality and those of cultural identity and at how much modern liberal thinking has been infected by a racial view of the world. The final chapter is an afterword on the Watson row, which re-examines the debate over his comments in light of the argument in this book. Race is not a rational, scientific category. Anti-racism has become an irrational, anti-scientific philosophy. The challenge we face is to confront racial thinking while defending scientific rationality and promoting Enlightenment universality. The aim of this book is to do just that.